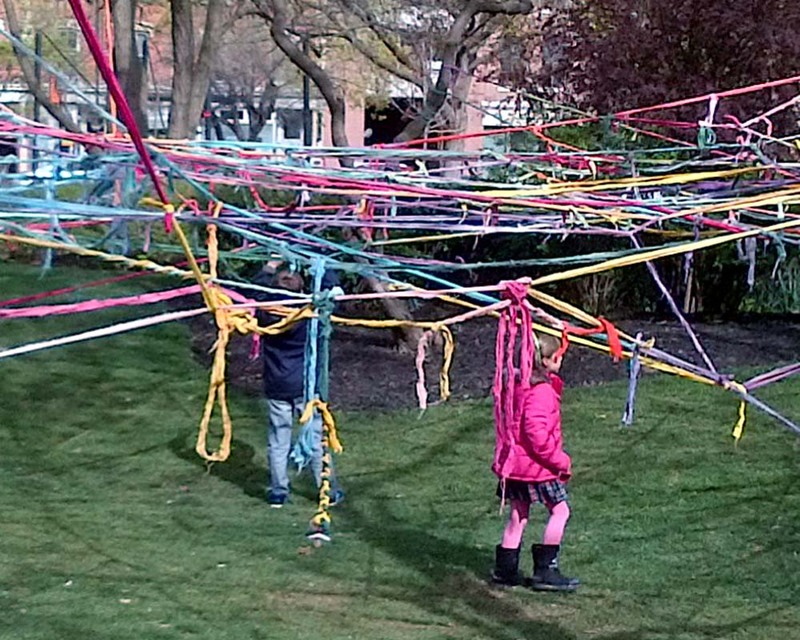 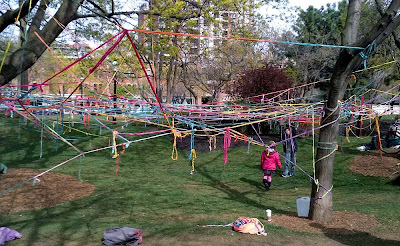 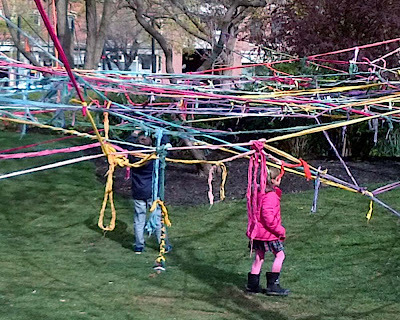 The #Toronto park recently home to Occupy Toronto has been taken over by a massive web of coloured ribbons in an art installation known as The Rainbow Web. 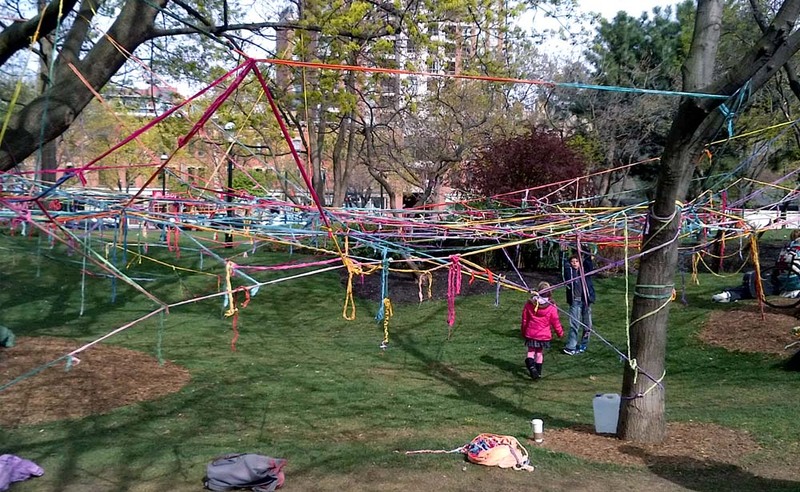 Over 30,000 feet of hand-dyed and recycled cotton material were used to create the ceremonial art installation which is reused at festivals and other events. 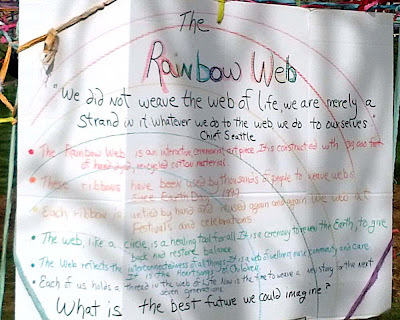 The sign says: "We did not weave the web of life, we are merely a strand in it. Whatever we do to the web, we do to ourselves" Chief Seattle.